CW Campervans acquired an ivory vintage VW Beetle, which they lovingly restored and refurbished with an ivory interior leather and black trim. They wanted to hire the vehicle out as wedding transport and asked Mirror Imaging to take some photographs of the vehicle. 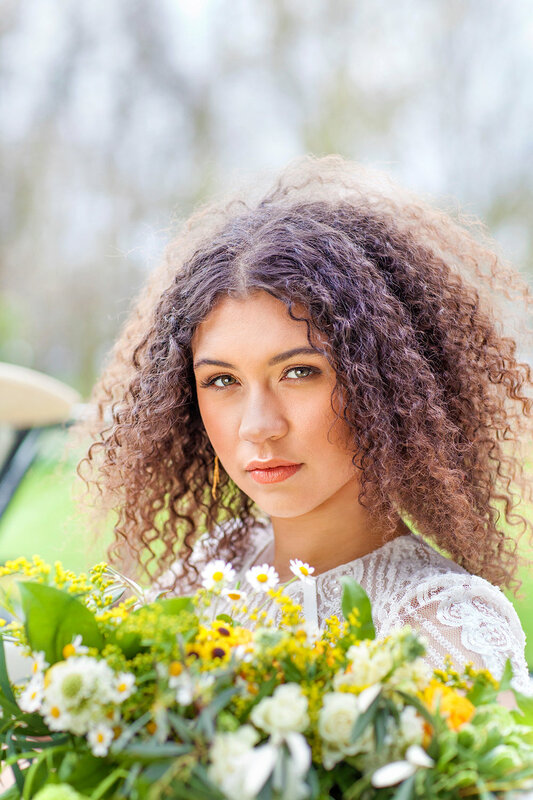 We took the brief and breathed life into it, pulling in a whole host of other suppliers to realise the vision - and give potential customers some real inspiration. We created a mood board to communicate our vision to everyone involved, including the colour palate, flowers, dresses, jewellery and models. 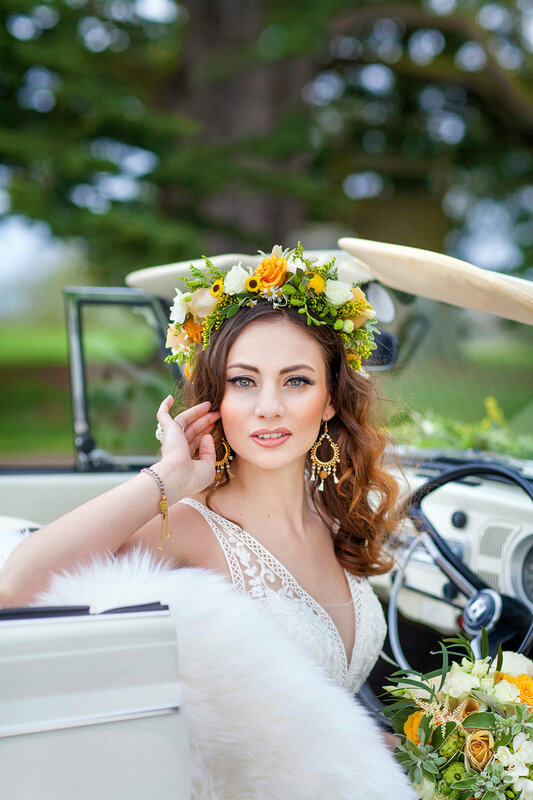 We were able to then capture a set of lifestyle images that were bridal editorial in style and completely in keeping with CW Campervan's boho brand. 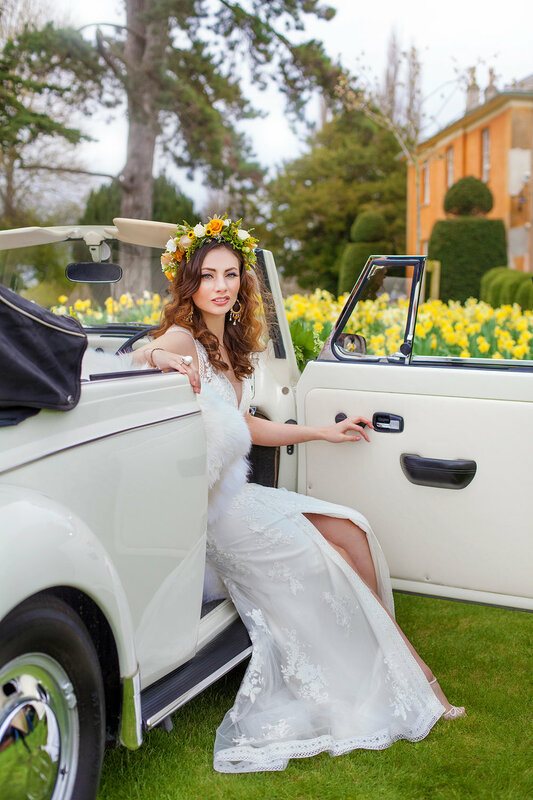 Not only was there a stunning body of images, but we also secured a bridal magazine front cover and extensive inside editorial, giving CW Campervans maximum exposure for their original investment.